David Hamlett helps clients get what they really want from their contractual arrangements, in order to deliver their aspirations and maximise financial and commercial benefits for their organisations. David is renowned for his ability to help clients visualise the outcome that they want and then work alongside them to devise a solution that achieves it. His skills lie in getting under the skin of what his client really wants, then creating innovative structures to fulfil as many of the client's ambitions as possible. He considers not just the contractual mechanics, but also the psychology and business issues - devising solutions in even the most politically charged situations. David is able to lead, inspire and empower large teams, delivering complex projects and drawing on specialist resources when required. "I firmly believe that what we do is not just about the law, but that the best lawyers really do stand in the client's shoes in order to help them achieve their objectives. Delivering solutions to complex legal and commercial problems means understanding the client's industry and sector, their organisation, their aspirations and the jurisdiction and regulatory environment that they are operating in." Leading the teams advising the Department of Health and Acute Trusts on the four-year Independent Sector Treatment Centre programme. It was extremely complex with competing people, competing agendas and plenty of politics. David was the fixer most of the time and loved almost every single minute. The most challenging job he has ever done is designing the Alliancing Contract Structure for the Royal Navy's new aircraft carriers. It was very complex and demanding, but as their build moves ever nearer to completion he is immensely proud of that work. Working for the Health Authority Abu Dhabi designing its contract for managing the public hospitals was another highlight. It was a clean canvass to design a fit-for-purpose contract without political interference, and was fascinating to work on. A wide range of clients in the health sector, both in the NHS and in the private sector, the Ministry of Defence and a wide range of clients involved in outsourcing and logistics contracts. 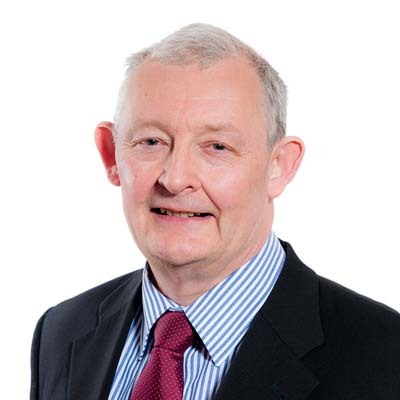 David is a non-executive director of University Hospitals Birmingham NHS Foundation Trust - a leading NHS tertiary hospital and the National Centre for Defence Medicine. This role acts as a two-way mirror, allowing him to understand inner workings of the NHS to a greater degree and to share with the trust my commercial experience from other sectors and other parts of the health service, including internationally. David has been appointed as a non-executive Director of FLI International Net, which provides hands-on international legal advice across over 60 countries. David advised on the Independent Sector Treatment Centre, a four-year reform programme with more than 50 individual contracts and worth in excess of £5 billion. This is still the largest PPP programme in Europe. It involved advising the Department of Health and individual hospital Trusts to ensure that patients could be treated within 18 weeks, and driving through the necessary capacity reforms to achieve this. When acting for individual hospital Trusts this included making sure that their involvement was lawful and commercially sensible. David was part of the team that instigated the first and so far only non-NHS operational franchise - of an NHS hospital. His role was the design of the overall contractual structure and in particular the 'brain transplant' concept. This enables a private sector manager to control and operate an NHS entity in place of its board, but on terms where the manager had a degree of personal financial responsibility for the outcome. David worked with the MoD on production arrangements for reactor core production to support the Naval Nuclear Propulsion Programme. He worked for three Clinical Commissioning Groups in Leicestershire on an innovative alliancing arrangement to deliver integrated care across the entire health economy - acute, community and primary care. This is the first completed health alliancing contract in England and will deliver better patient care, closer to patient homes and at overall lower cost. This is aimed at overcoming the current 'silo' approach of healthcare funding, which acts as a deterrent to cooperation and doing what is best for the patient and for the exchequer. The alliance approach uses a specialised risk and reward sharing mechanism that makes it easier for the transfer of activity between the CCGs, a tertiary hospital trust, a community hospital trust and a private company providing primary care. David is currently advising a digital healthcare business on the set up of a joint venture in Scotland. The project, known as 'no delays', a pioneering project in the use of 'ehealth'. It combines redesigned care pathways with digital, audio and video material, so that a patient can effectively be 'prescribed' a menu of information about, and to manage, their condition and their own individual care pathway. This will speed up treatment and empower the patient to understand more about their condition and do more for themselves, thus making sure that actual face-to-face time with clinicians concentrates on the really important issues. It will enable them to access specific and appropriate information relating to their individual circumstances and needs. The platform will be available elsewhere in the UK and in the future will enable genomic or customised-to-the-patient medicines to be linked to customised advice and support. The consultant body of a world famous NHS Foundation Trust has appointed David to help them set up their own LLP, which will then provide private health services jointly with their host Foundation Trust. This gives advantages to the hospital in that they only have to deal with one organisation rather than lots of individual consultants, and it will lead to a standardisation of best practice among consultants which should in turn raise clinical standards. A leading NHS Foundation Trust is undertaking a corporate review of all of its commercial ventures (unique in the NHS ), and David is subsequently advising it on the implementation of that review and on the set up of its trading units. Six NHS hospital Trusts on the processes, including the sale of hospitals intra-NHS, to ensure that Trusts meet government requirements to achieve Foundation Trust status. A pioneering company in the field of food digestion and anaerobic digestion of food waste and farm waste to produce effectively power and fertiliser, turned to David for advice on the creation of the company and with general commercial support. He is currently advising them on the company's mutation into a joint venture with an investor, which will make it a major player in Europe as well as the UK. Over the last 10 years, David has worked on a range of complex health projects in the Middle East, including advising two health providers on the set up of health facilities in Dubai and on the development of a new general hospital in Sharjah, UAE. The Health Authority of Abu Dhabi recognised David's skill in this area and turned to him on the outsourcing of its International Patient Care programme and on the design of outsourcing contracts of management for 16 major hospitals. He also acted for the Ministry of Health Bahrain on the outsourcing, operation and management of the new state of the art King Hamad Hospital. David's other work on a wide range of complex outsourcing projects includes advising one of the world's leading communication service companies, on the first and second generation contracts for a £500 million facilities management outsourcing, including the integration with its property outsourcing project. This contract was re-negotiated twice to reflect changed circumstances. And appreciating his outsourcing experience, a leading energy company turned to David on two 10-year electricity infrastructure and maintenance alliances and a 15-year New Connection Alliance based on NEC3. The former was structured to create gain potential from a partnership between the contractor and internal direct labour organisation based on aggregated actual cost. The latter was particularly innovative; it created a pain/gain arrangement outside of target cost contracts based on the fixed price option A.